Verbally or mentally reciting prayers is an easy and practical method to transform our mind into a peaceful and positive state. During these traditional Buddhist prayers we make spiritually meaningful requests and engage in silent meditation as a group. The prayers have been translated from Tibetan into English so that we can easily understand their meaning. All our group prayer sessions are free and open to everyone. Please check our calendar for dates and times, and feel free to join in! For more information about the different prayers that we practice, please see below. 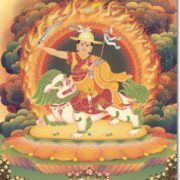 A special Guru yoga practice of Je Tsongkhapa’s tradition combined with a brief practice of relying upon the Dharma Protector Dorje Shugden. 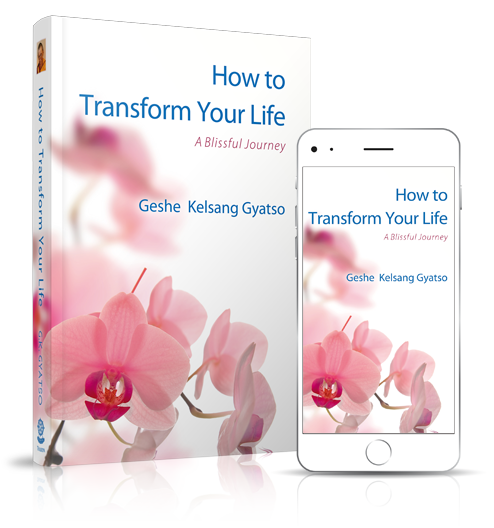 This practice is the very essence of Kadampa Buddhism. 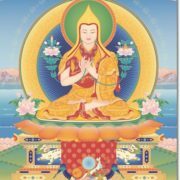 In the first part we visualize our Spiritual Guide as Buddha Je Tsongkhapa and make prayers and requests to purify negativity, accumulate merit and receive blessings. This prepares our mind for meditation on the Stages of the Path to Enlightenment. Then we make prayers to the Dharma Protector, Dorje Shugden. Through these prayers we can overcome obstacles to our practice and create favorable conditions so that we can nurture and increase our pure Dharma realizations. The special Guru yoga practice of Je Tsongkhapa in conjunction with Highest Yoga Tantra, which also includes all the essential practices of the stages of the path to enlightenment. By relying upon Je Tsongkhapa, our compassion, wisdom, and spiritual power naturally increase. The practice of relying upon a Spiritual Guide, or ‘Guru Yoga’, is the root of the spiritual path and the foundation of all spiritual attainments. Guru yoga is a special method for receiving the blessings of our Spiritual Guide. In Kadampa Buddhism, Guru Yoga is practiced in association with Je Tsongkhapa, an emanation of the Wisdom Buddha Manjushri. Although the main practice is reliance upon the Spiritual Guide, it also includes all the essential practices of the stages of the path (Lamrim) and training the mind (Lojong), as well as both the generation stage and completion stage of Highest Yoga Tantra. Please note for this practice it is customary to bring a small offering to put on the altar such as fresh fruit, chocolate or flowers. 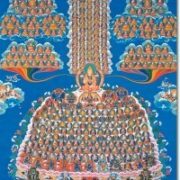 A special Guru yoga practice of Je Tsongkhapa’s tradition, combined with either the middling or extensive sadhana, or “method of attainment,” for relying on the Dharma Protector. This is a powerful method for receiving spiritual protection, increasing our merit and Dharma realizations, and for purifying negativity. It is customary to bring a small offering to place on the altar, such as fresh fruit, chocolate or flowers. Tara is a female Buddha, whose name means “Rescuer”. She is the embodiment of swift compassion. If we rely upon Tara sincerely and with strong faith, she will protect us from all obstacles and fulfill all our wishes. 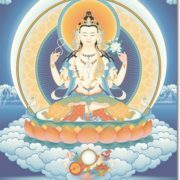 Everyone is welcome and invited to join us for Tara’s chanted prayer practice, Liberation from Sorrow. Medicine Buddha is a Buddha Doctor whose function is to release living beings from outer and inner sickness by bestowing blessings upon them. 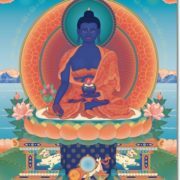 By relying upon Medicine Buddha sincerely, we can heal from heavy physical and mental disease, find release from the internal pain of the three poisons – attachment, anger and ignorance – and receive protection from many other dangers and obstacles. A traditional practice in which we make heartfelt prayers for the fortunate rebirth of all those who have recently passed away. The practice is appropriate for any sentient being, including family, friends and animals. If you wish you may bring a small offering such as fresh fruit, chocolate or flowers to place on the altar. Sign up for our weekly newsletter to receive updates about classes and events.